Need more space? 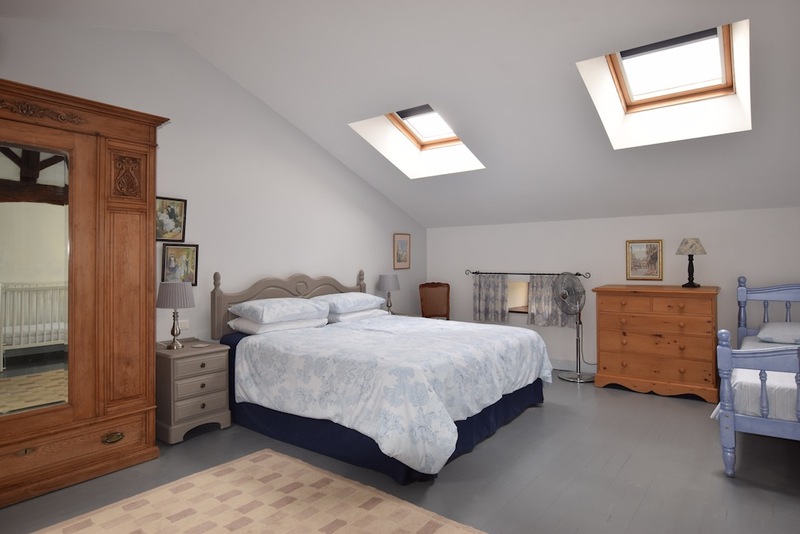 Sleep 15 plus cots by joining ground floor property Robins Nest to Lark Rise, via an internal lockable hallway, thus creating one extremely spacious house. 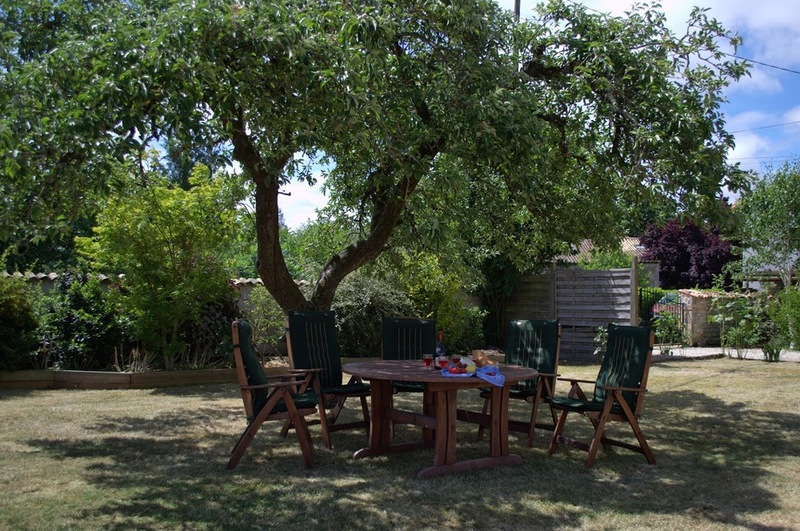 Alternatively, take a look at Dove Cottage, which sleeps 6 plus cots. Discounts may apply when booking multiple cottages - contact us with your preferred dates to find out how much you can save! Lark rise is a very spacious character ‘farmhouse’ style property with beautiful exposed stone, ancient beams and gorgeous fireplaces. The large lounge and kitchen/dining areas offers ample space for entertaining large families or groups of friends. Capable of sleeping 11 guests plus cots, Lark Rise is truly perfect for an extended family or group of friends wishing to holiday together. Need more space? 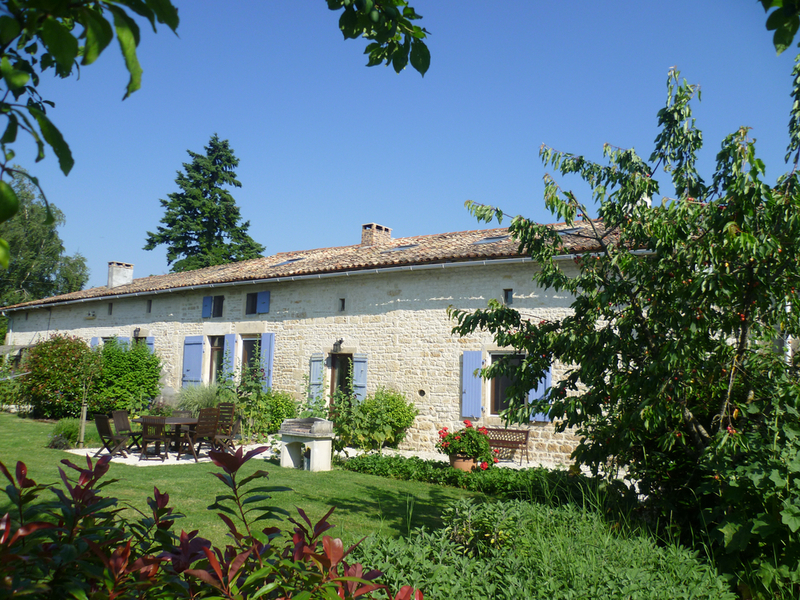 Ground floor gite, Robins Nest, can be joined to Lark Rise via an internal lockable hallway, thus creating one extremely spacious house. Facing south, Lark Rise enjoys a sunny aspect with views across the walled garden to fields beyond. It has its own patio with table, chairs, umbrella and BBQ plus an additional table and chairs under the trees if required. Our guests can enjoy our spacious walled ‘child friendly’ gardens, including a luxury in-ground Heated Swimming Pool (walled and security gated) plus a massive Sandpit with Factor 50 sunsail and pirate ships bow. Toddlers often find themselves in awe over the huge vaulted Play Barn, featuring a play corner with Duplo, play kitchen, play mats, and much more! For older children (and adults! ), the play barn offers table tennis, table football and a dart board. For the more adventurous, we offer free use of all our well-maintained bikes, suitable for all ages. ... and don't worry, for those who need to stay 'connected', we offer free WiFi in all our properties. Large master/family bedroom, which sleeps up to four persons. Super king-size bed (6') & single (3’) bed. Ample room for a cot or another single bed. 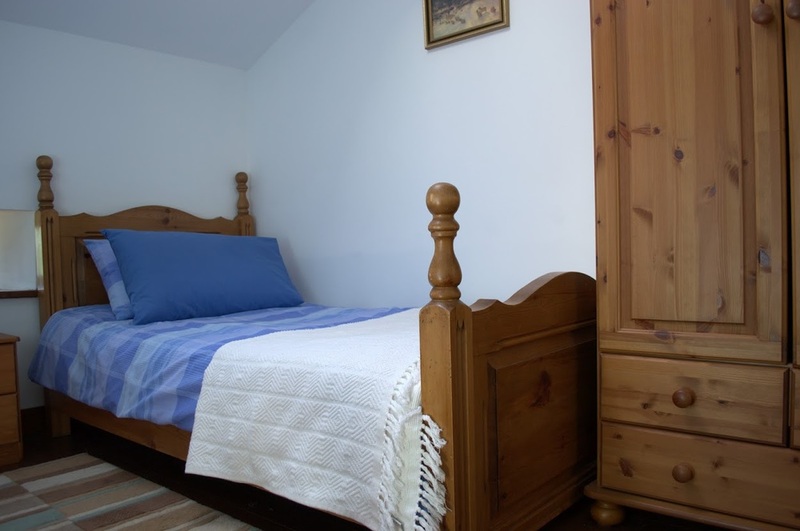 Large double bedroom with king-size bed (5') and space for cot or extra single bed. 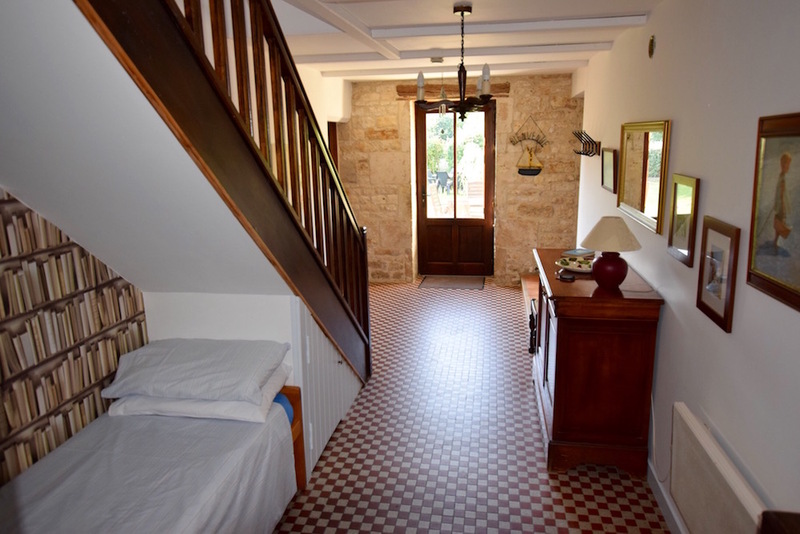 Two extra single beds are available for use in larger bedrooms, lounge or under the stairs ‘Harry Potter’ style. Multiple cots, highchairs and other baby/toddler equipment available free-of-charge. Enormous open-plan room with ancient oak ceiling beams, exposed stone walls, bespoke oak kitchen units and worktops and large ‘period’ fireplace with log burner. Well equipped for family meals and sociable gatherings, the large dining area is equipped with two farmhouse style tables and chairs. Highchairs are also available. 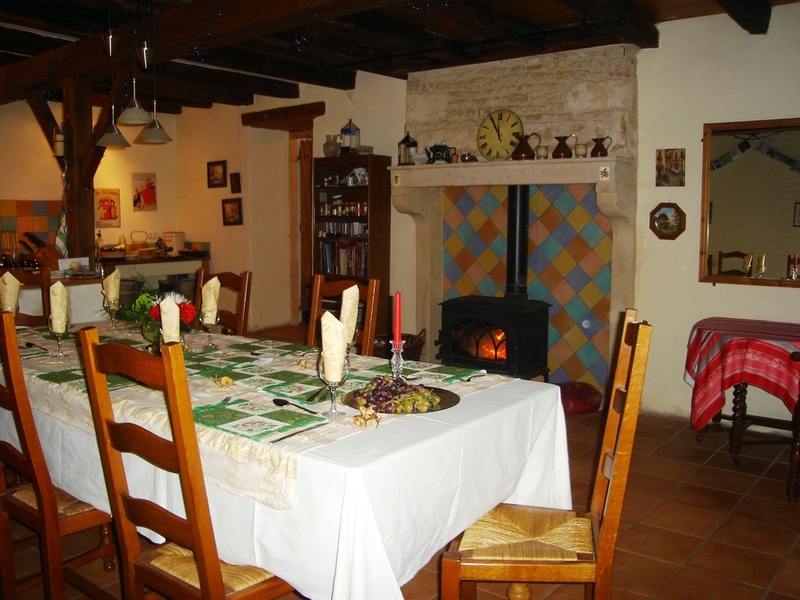 The large, comfortable lounge has a beamed ceiling and period fireplace with beautiful log burning stove. Five sofas and three armchairs easily accommodates all Lark Rise guests, including a TV viewing area equipped with english TV and a Blu-ray / DVD player. The large coffee table offers plenty of room for casual dining and entertainment space for youngsters, whilst the large sideboard contains many books and board games, suitable for all ages. Two Shower Rooms, with large corner shower cubicles (thermostatically controlled). Two WC's. One bidet. Two wash hand basins. Under stairs ‘Harry Potter’ relaxation/sleeping area, as well as a large sideboard containing a variety of books and board games. If its not on the list, please ask and we'll endeavour to accommodate where possible! All cottages have a comprehensive file detailing the many tourist attractions in our region, location of play areas and rivers with canoe hire, beach recommendations, supermarkets and shopping suggestions, local markets and restaurants, and essential guidance on how to summon help if necessary. The luxury, in-ground, heated swimming pool is situated in the walled/gated garden to the rear of the property. 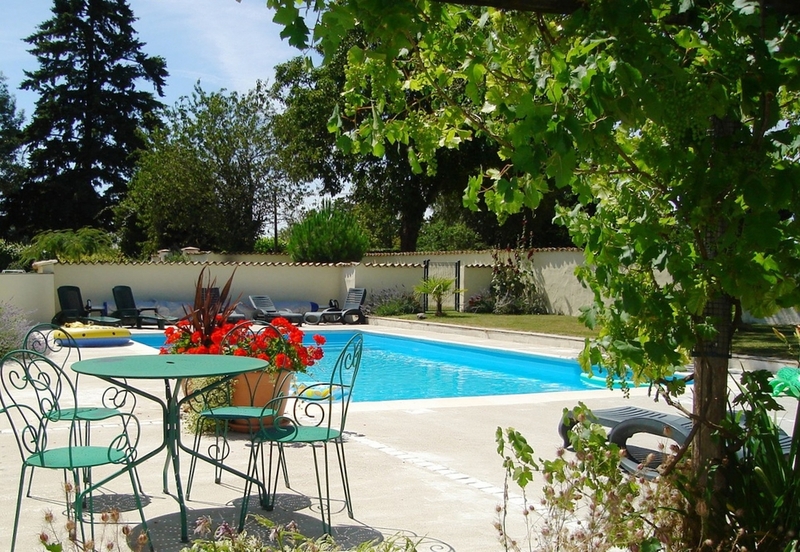 The pool is for the communal use of all three properties. Steps span the entire width to facilitate easy entry and exit. They also provide the ideal perch for young (and not so young!) to sit in shallow water and relax. Surrounded by a sun terrace, lawns and shrub borders the pool garden is a lovely place to relax and enjoy a slower pace of life. The pool is actively managed by John on a daily basis, cleaned and water quality tested. Our new pool heater is set at a balmy 28 degrees. The garden is not overlooked and has views over fields of sunflowers in summer. Sun Loungers are provided. 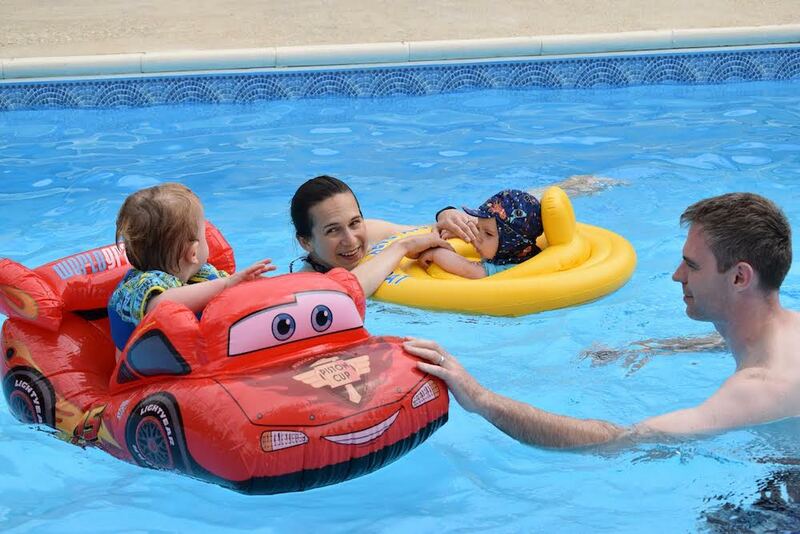 Babies and toddlers can also have their own inflatable pool and Factor 50 Sun Tent. When you tire of the sun shady spots can be found under the walnut tree and vine covered pergola. Play corner for toddlers with Duplo, play kitchen, play mats, etc.